Play solitaire as an arcade game with action solitaire. Unlike regular solitaire, action solitaire is played for points against the clock in timed rounds. Action solitaire has 75 different games. Play fast action games such as triple peaks, triple towers, blackjack speed, and picking pairs. Play solitaire classics like freecell, klondike, spider, pyramid, golf, aces up, gaps, montana, and yukon, all like you have never seen them before. 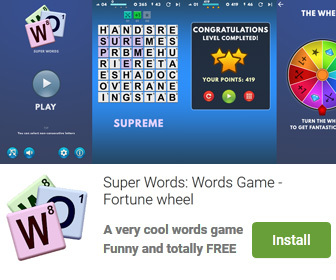 Your objective is to get the highest score possible and advance to the next round. Each round has a goal score that you must achieve. If you make the goal score, you will advance to the next round. If you do not make the score, you lose. See how many rounds you can play and how high a score you can get. It s solitaire for people who like action. Play action solitaire once, and you ll be addicted forever. 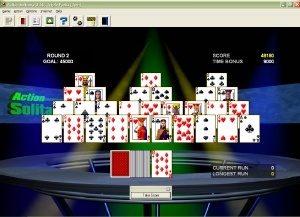 Action Solitaire is a game that works under windows xp, windows vista and windows 7. It supports both 32-bit & 64-bit windows editions, therefore it could run faster on 64-bit computers. Estimated download time for Action Solitaire on a common adsl connection is less than a minute. Version 1.60 was released six hundred twelve days ago by Goodsol Development Inc.. Click the green download button to download it now.